MINISTER FOR TRANSPORT Leo Varadkar has said no rules were broken over his request for his ministerial adviser to be paid a salary of €135,000. “The situation with my adviser is that he took a €30,000 pay cut to come and work for me and I’m very glad he did that,” said Leo Varadkar. He said that his ministerial adviser, Brian Murphy, had been earning €135,000 in the private sector, leading to Varadkar to request the same annual salary when Murphy was due to begin working for the government . The request was rejected by Minister for Public Expenditure Brendan Howlin. The adviser now earns €105,000. Under rules agreed by the current government, salaries for ministerial advisers are capped at €92,672. The rules essentially that we brought in were that we were going to reduce the number of advisers and reduce their pay, which we did. So we decided on a new pay scale which was between €80 and €92,ooo but exceptions were to be made where someone was coming in from a job in the private sector where they were paid a lot more. Varadkar said it was “not true” that rules had been broken, adding that the rulebook allows for exceptions in some cases. Sinn Féin said Varadkar’s request was “an absolute disgrace” when many organisations and individuals are facing cuts or salary reductions. Email “Leo Varadkar says €135k salary request didn't break the rules”. 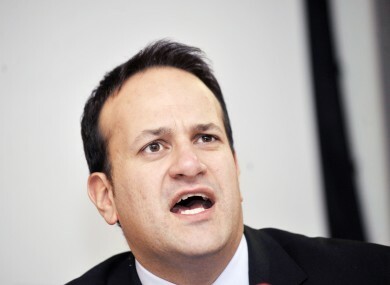 Feedback on “Leo Varadkar says €135k salary request didn't break the rules”.